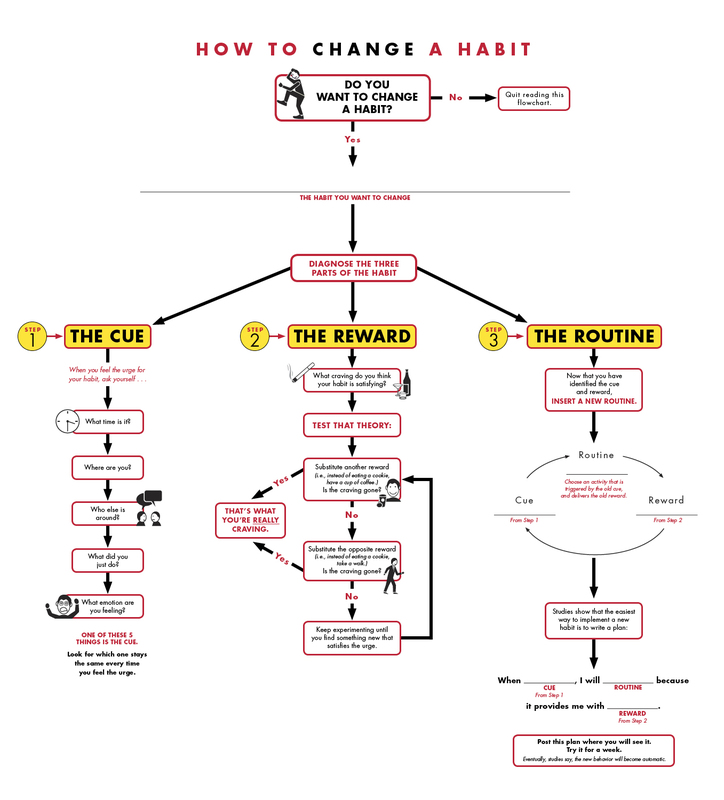 Here at Take24, we are pretty big fans of Charles Duhigg and his research and publications around habits. If you haven't read his book, The Power of Habit, we highly recommend you read it. Mr. Duhigg lays out in a very clear way that there are three key parts of a habit: The Cue, The Reward, and The Routine. Take24's proprietary engine helps you identify what your cues and rewards are so you can create a new routine and eventually achieve success in breaking the habit. From Charles Duhigg's awesome book, "The Power of Habit"